Do you love the classic look of a solitaire engagement ring, but with a little flair? Then a side stone engagement ring is meant for you. Side stones are a unique way to enhance the brilliance of the center stone in your ring setting. 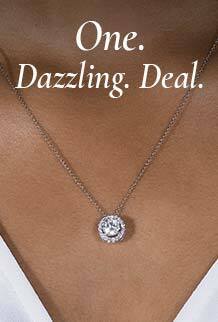 Moissanite gemstones can be used in straight lines or arranged in intricate patterns, depending on your style. 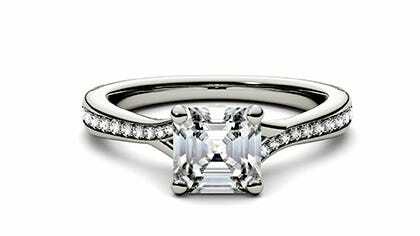 Round cut engagement rings with side stones are a popular favorite, but no matter the setting, side stone engagement rings are sure to catch the eye of your loved one upon first glance.